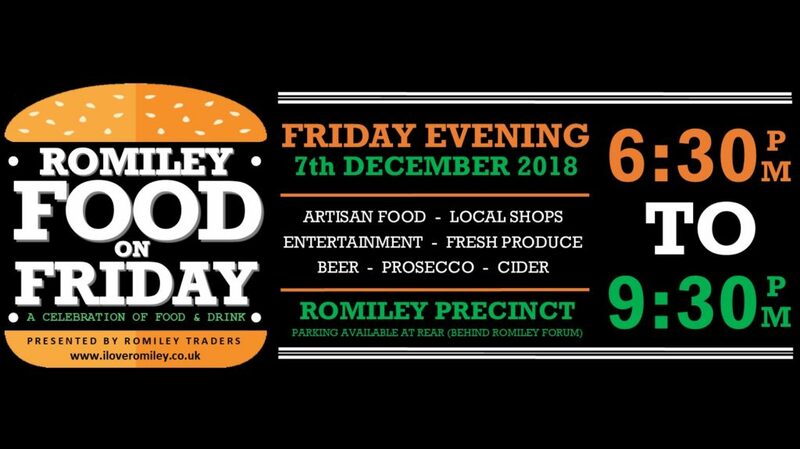 Join us for the final Romiley Food on Friday event of this year which will have a festive feel. 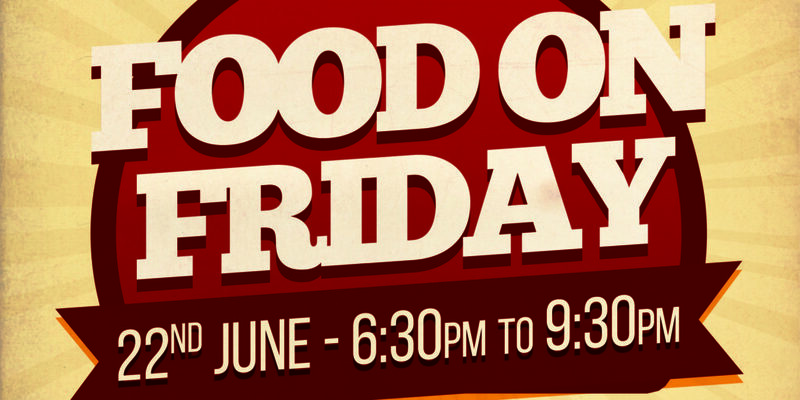 There will be food, drink and music from 6.30 pm. 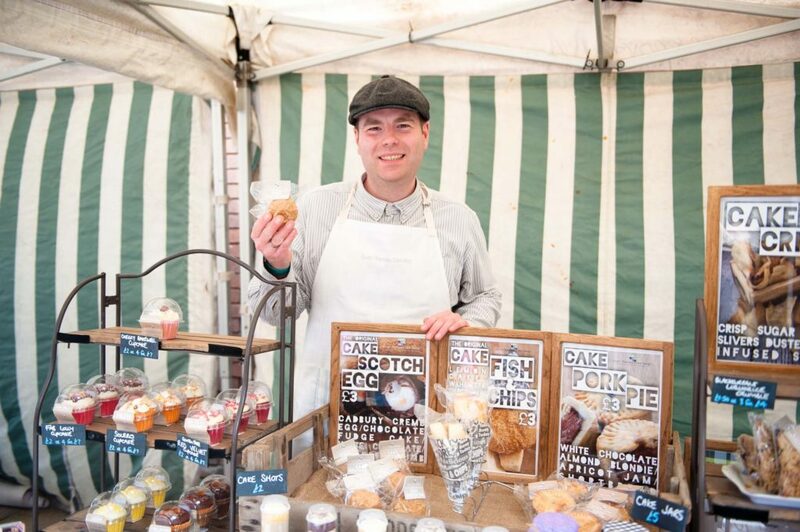 We have lots of traders returning from our previous events alongside some new stalls who are joining us for the first time. Come along and support this fantastic event in Romiley Precinct this evening from 6.30 pm. 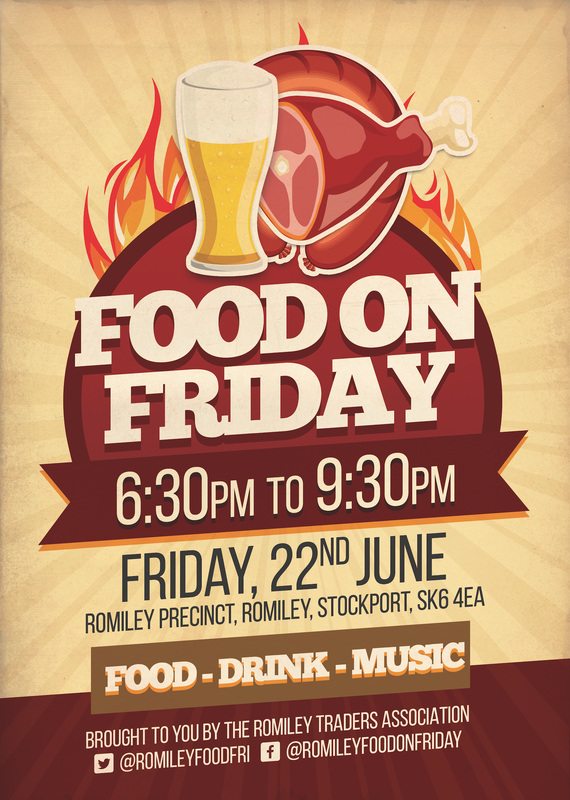 Join us tonight for our third Romiley Food on Friday event. There will be food, drink and music from 6.30 pm. Romiley Village Market is taking place today in the centre of Romiley. The market is a regular monthly event that runs in the precinct on the first Saturday of the month between February and December. This month we have entertainment from Neil Gaw and NK Theatre Arts. We’re also joined by BBC Radio Manchester who are spending the day in Romiley talking to local people including some of the local businesses about their Manchester Bee themed fundraising activities for the Manchester appeal.